Tearaway | Tsundere Britannica - UK Anime/Game News and Features! Sony’s history with handheld consoles has always been an interesting one. The PlayStation Portable boasted much more power than Nintendo DS and had much stronger online, with full support for downloadable titles and an amazing account system, but Nintendo’s DS sold far, far more than the PSP. The same situation is happening again with the current generation, with Nintendo’s handheld being a sales juggernaut, leaving Sony’s more powerful handheld behind. Of course, there are reasons for this – and one of the biggest concerns with the PlayStation Vita has been the lack of games worth buying a console for, whereas the Nintendo 3DS has a wealth of solid first party content (such as Fire Emblem: Awakening, The Legend of Zelda: A Link Between Worlds and of course, Pokémon). That was actually the main reason I held back on purchasing a Vita myself, because while there were a few titles that interested me, I couldn’t justify the cost of a new system for the small amount there were (which is actually why I didn’t buy a PlayStation 3 until earlier this year as well). Then a few months ago, me and the other writers of WiiUAndMii decided to broaden our readership by writing about games for non-Nintendo platforms (hence the name of our “Nontendo” section). When writing for WiiUAndMii, I am arguably the website’s main 3DS writer – being a huge enthusiast of their handheld console (although I do own and love the Wii U as well), so the decision for me to take a closer look at the PlayStation Vita was inevitable. In the weeks running up to the release of the PlayStation 4, Sony really did a lot to boost awareness of the PlayStation Vita, such as sponsoring Marvel’s Agents of S.H.I.E.L.D. on Channel 4 with a series of brief and very clever 15-second advertisements (well, they were around that long. I didn’t time them – too busy waiting for S.H.I.E.L.D. to start). For the first few weeks, the clips shown off LEGO Marvel Super Heroes (for obvious reasons), when episodes aired around the release of Tearaway (which is an amazing game by the way), the game was changed to that and once the PlayStation 4 was released, the brief segment was dedicated to showing off Remote Play. As standalone adverts, these might not have been very good, but when airing alongside one of the hottest shows on TV right now, that means that people tuning in to watch the series each week will be introduced to a variety of different games and features during the show’s 22-week run and by being a sponsored message instead of a regular advert, it increases the likelihood of people seeing it, as the average viewer might go and get a drink or go to the toilet during a regular commercial, but if they know the PlayStation Vita sponsors the show, they’ll all rush back into the TV room the moment the advert starts. That, combined with the quick succession of Vita game announcements from studios such as NIS America, were enough to place the PlayStation Vita on my radar once more, so on Christmas Day, I was very happy to receive quite an amazing bundle – A Wi-Fi Edition of the console, a 16GB Memory Card and download codes for Tearaway and Little Big Planet Vita. Back when I purchased my PlayStation 3 earlier in the year, I was given a free PlayStation+ 30 month code which I had neglected to activate, but activating it now also gave me access to games my Twitter followers had recommended to me such as Gravity Rush, Guacamelee and a further reduction on Sony’s already amazing 12 Days of Christmas price-slash on Persona 4 Golden. So much for the Vita having now games – as within a day, I had filled 14GB of my 16GB memory card! Sony certainly didn’t pull any punches in making sure that new buyers can get the very best out of their new console straight out of the box! 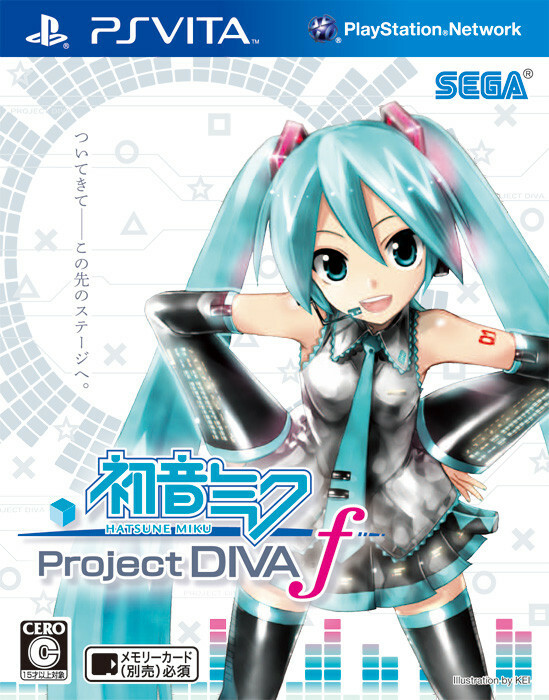 SEGA’s Hatsune Miku: Project Diva f rhythm game has recently been announced to be coming to North America and Europe in early 2014, following on from the release of Project Diva F on the PlayStation 3 back in August. This is a rather strange situation as the PlayStation 3 release was actually a port of this Vita game, but I imagine SEGA wanted to test the waters for the franchise on a console with a much higher install base first? Anyways, despite already owning the PlayStation 3 port, I will definitely be picking up the Vita version at release. 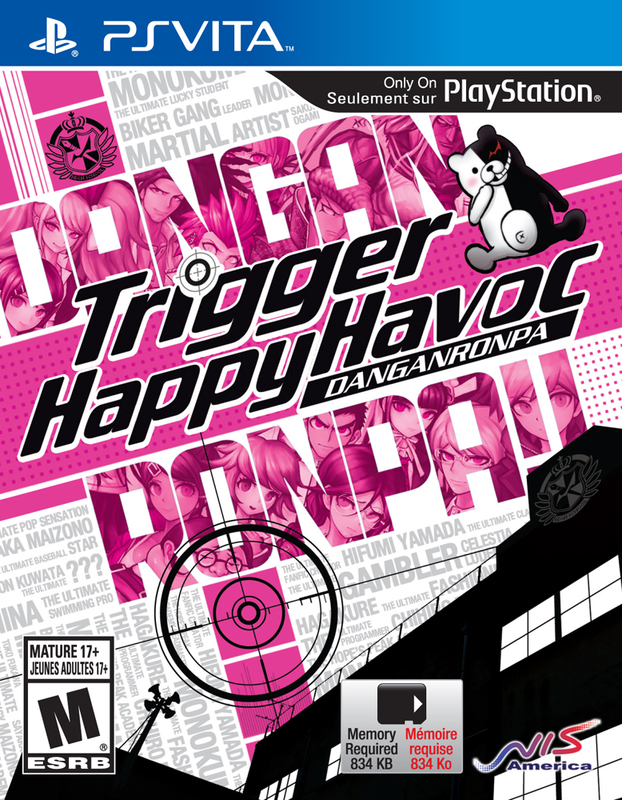 I’ve written about NIS America’s upcoming February 2014 release of Danganronpa: Trigger Happy Havoc on this blog before. Despite not being released internationally, the original PlayStation Portable murder mystery visual novel had gained a substantial online following even before this year’s anime adaptation aired. I personally dropped the anime because my friends who had explored the fandom beforehand had already confirmed to me that a lot of the plot’s details had been left out, so I decided to wait until the game was released, so I could enjoy it fully without spoiling the story’s main twists. Ever since the release of Final Fantasy VII on the PlayStation, Square Enix’s world-renowned RPG franchise has been one of the strongest names on Sony platforms. 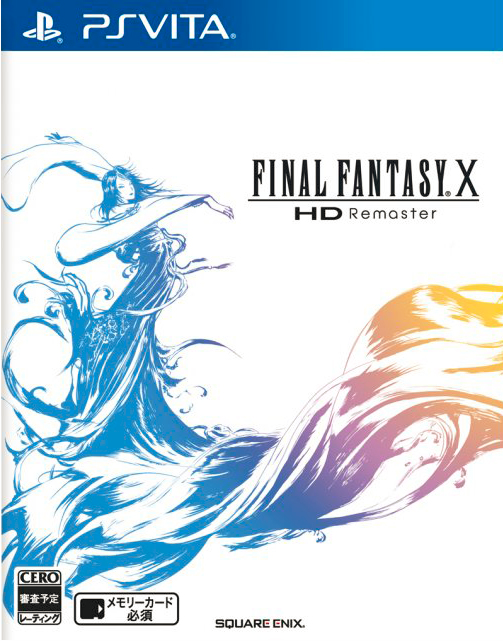 While the HD remasters of Final Fantasy X and Final Fantasy X-2 will be sold as a bundle on PlayStation 3, they will be available separately on the Vita when released in Europe on 21st March. Some may consider this a disadvantage, but the idea of a portable Final Fantasy X kinda really outweighs it. I think Sony could just do a 5 second advertisement where someone shouts “PORTABLE FINAL FANTASY X!” and sales would skyrocket. 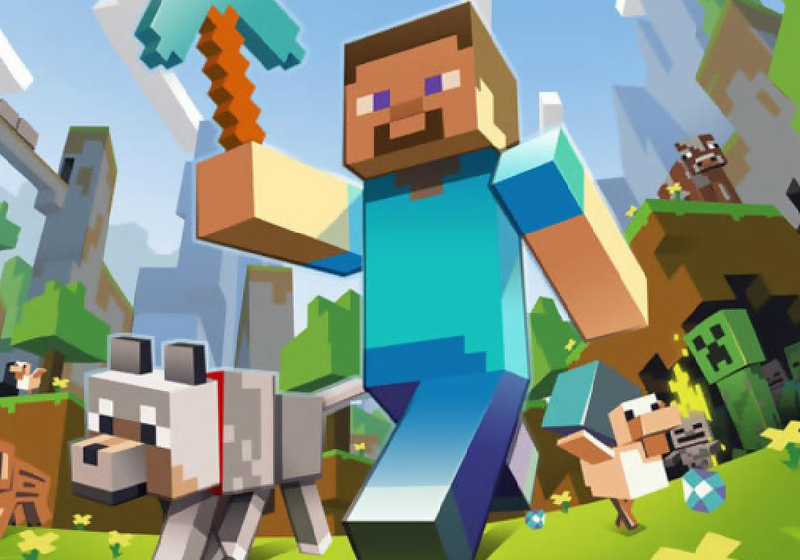 That’s right – in 2014, Minecraft is coming to the PlayStation Vita! Have you ever wanted to play the ultimate creative game (except for those who prefer circles) on a portable device, but hated the Pocket Edition? Well, Mojang have announced that the game will be coming to Vita next year! I honestly can’t wait – the number of nights I’ve spent up until 2am building underground tunnels in Minecraft are innumerable. One of the other huge positives about the PlayStation Vita is that as it is more than a gaming system – while gaming is its focus and it has the power to boast about it, the console also has applications for social networking services like Twitter, Facebook and Skype (although I think the Skype app lacks the instant messaging feature? If it does have it, I just haven’t found it yet). These applications also don’t feel rushed at all – they run amazingly and have a look that screams that they were made specifically with the console in mind. The video content is wonderful too, featuring the ability to purchase TV shows and movies from the PlayStation Store like the PS3 and PSP and also having a YouTube app that is in all honesty, probably the best portable YouTube application barring the iPad (and how portable is an iPad in all honesty?) . The 2014 addition of anime streaming service Crunchyroll is also something I am incredibly hyped about (i-it’s not like I like anime or anything…baka!). I’ve also been thoroughly impressed with the system itself. The Content Manager allowing me to connect to my laptop and copy music, movie and image files completely wirelessly is like something out of a science fiction movie and is incredibly convenient (all you have to do is download the Content Manager program onto your PC, no need to fiddle around with USB cables). I also experimented with the Remote Play feature and my PS3 and I was amazed at just how responsive it was – allowing me to turn on and access my PS3 when I’m in the other side of the house. The only annoyance is just how underused the feature was on that console; the only application I had that would work with Remote Play was the ITV Player. Apparently Remote Play is system-wide on the PlayStation 4 though, so if the experience is anything like it could have been on my the PS3 is more games used it, then it will be absolutely fantastic (I just wish I had a PS4 to try it out on). After owning a PlayStation Vita for such a short amount of time, I have become absolutely besotted with it. I’ve been left wondering why Sony’s handhelds haven’t seen the huge success of those produced by rivals Nintendo, despite boasting a lot more power and features. The only answer I can think of is Nintendo’s brands such as Mario, Zelda and Pokémon will drive people to buy platforms, which is something Sony’s handheld offerings have lacked (especially as Monster Hunter has moved to Nintendo consoles). In Japan, the PSP and PS Vita have received love from visual novel games based on popular anime and manga franchises, but with the lack of those in the west, maybe what is needed is more exclusive games attached to major franchises like Assassin’s Creed III: Liberation and Call of Duty: Black Ops – Declassified (just made better, as the critical reception to both were nowhere near as positive as their home console games)? At least though, for the otaku audience like myself (and the readers of this blog), the Vita is region free – so we can import games like Puella Magi Madoka Magica: The Battle Pentagram and the upcoming J-Stars Victory Vs. and play them on our non-Japanese consoles! (Although I wish there wasn’t the language barrier stopping me from playing visual novels). I personally believe that the PlayStation Vita is an absolutely amazing console and I have been really impressed with Sony’s recent promotion of it (achieving a 68% sales boost since the launch of the PlayStation 4 in the UK alone) and I really hope that the future does improve and the Vita continues to get more AAA content, because it really deserves it.